Sweet and Simple Spring Decor finds from Amazon and Kirkland's! Y’all, if there’s one thing you should know about me… I love finding good deals. I’ve been on the hunt for some recommendations for you if you need a little extra happy in your home for spring and Easter, and I’m so excited to share them with you today! Whether you love neutrals or pastels, there’s a little something for everyone in today’s post. We’ve got clickable links set up for you, too, so it’s easier than ever to shop and find some things you’ll truly love for your space! 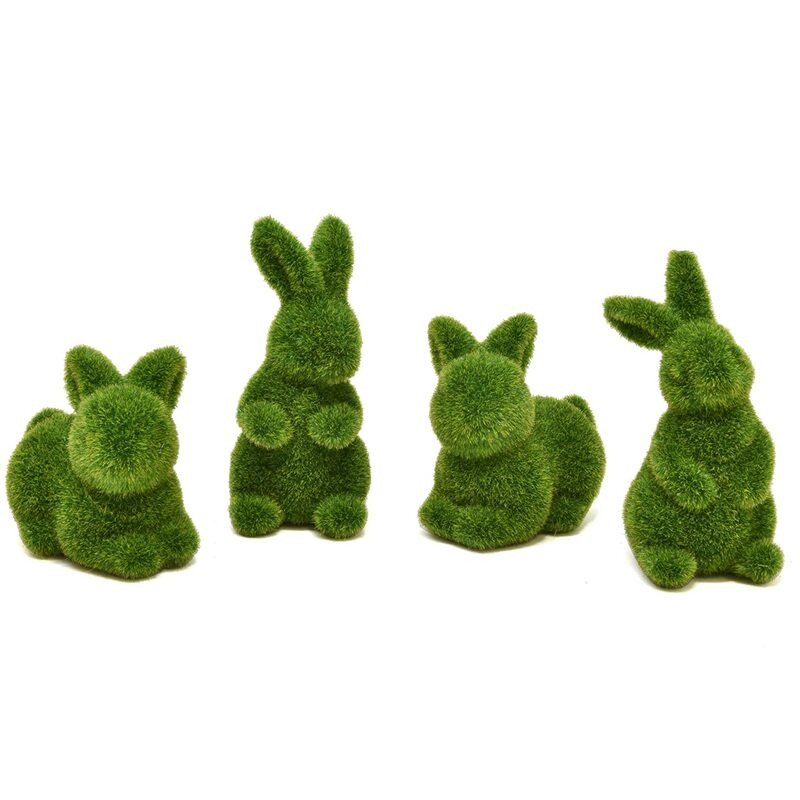 I think these little guys are so precious for springtime and could easily be added to an Easter tablescape or buffet if you’re hosting a meal for the holiday! I love that they’re neutral but also festive - a great way to blend your seasonal decor right into your everyday style. I would love adding a pop of color to these with some simple bow tied around each one’s neck in a pretty pink gingham! Using a letterboard to offer greetings and sweet sentiments is another fun way to add some happy to your home! We use one on our entry way table that is switched out for each season - phrases like “hello spring,” “Happy Easter y’all,” or even a generic “welcome y’all” give a hard-to-fill space new life and thoughtfulness without going overboard. If you like a little bit of color in your decor, this bunny banner is a total winner! I love the simplicity and that the colors are easy to match. Plus, those cotton tails are so precious, y’all! This would be so cute hung across your mantle or even an island or bar in your kitchen. There are so many ways to use this piece and its versatility makes it easy to style no matter what kind of space you are in! For neutral spaces and farmhouse fans, a willow wreath is a cute touch of seasonal happy without going over the top. I love the simplicity and natural look of this piece! Try adding this to an entryway or in your kitchen for a little festive flair. I am adding this to my cart today! Topiaries are an easy way to add some life and spring color to your home without having to worry about a green thumb! I love using these all year long with a seasonal ribbon for each holiYAY. They look great on end tables or coffee tables, or even on your mantle! Try using different heights or shapes to add extra interest to your topiary style. I hope you’ll find some new ideas for your space with the items in this post! What trends are you loving this spring? Comment and tell me - I’d love to hear from you!